This ProTeam® Super Coach Pro 10 backpack vacuum gives you a little more capacity than the ProTeam® Super Coach Pro 6 quart backpack vacuum. Same great ergonomic design, same FlexFit harness, and same HEPA filtration system. The triangular design of the body, along with the articulating FlexFit harness, gives you a range of motion to keep fatigue at bay while you work. This also allows you to move around your workspace with less chance of bumping into furniture or doorways. 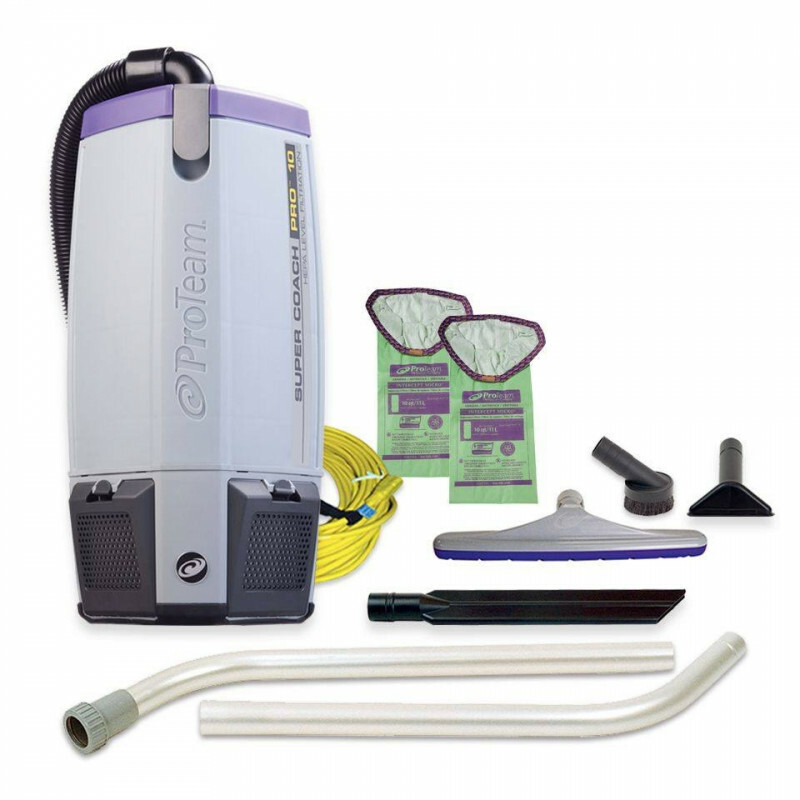 For a more economical HEPA vac see our HEPA Backpack Vacuum. 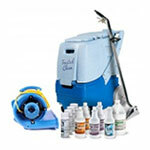 But, we also carry several other backpack vacuums, with and without HEPA filtration. Cons: Cheap black hose that broke off where it meets the alunium wand upon 3rd use. Heavy 10lbs. 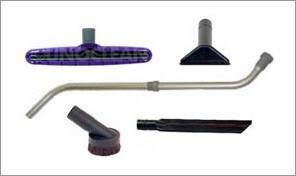 hard floor tool no good on carpets.